A school lunch finance report for Sanford Grammar School. Originally established as Sanford High School, the main building was constructed at 301 West Seventh Street in Sanford, Florida, in 1902. The building was designed by W. G. Talley in the Romanesque revival style. Due to an increasing student population, a new school building was constructed on the corner of East Ninth Street and South Palmetto Avenue in 1911. The original building on Seventh Street served as Westside Grammar Elementary School, which was later renamed Sanford Grammar School. After a desperate need for an addition to the school developed, the city granted the school $75,000. The school's lunchroom was opened on October 10, 1921, after months of fundraising efforts hosted by the Woman's Club. In November 23, 1984, the main school building was placed on the National Register of Historic Places and converted into the Student Museum. However, despite objections from the community, the lunchroom was demolished on September 25, 2008. The main school building reopened as the University of Central Florida's Public History Center in 2012. 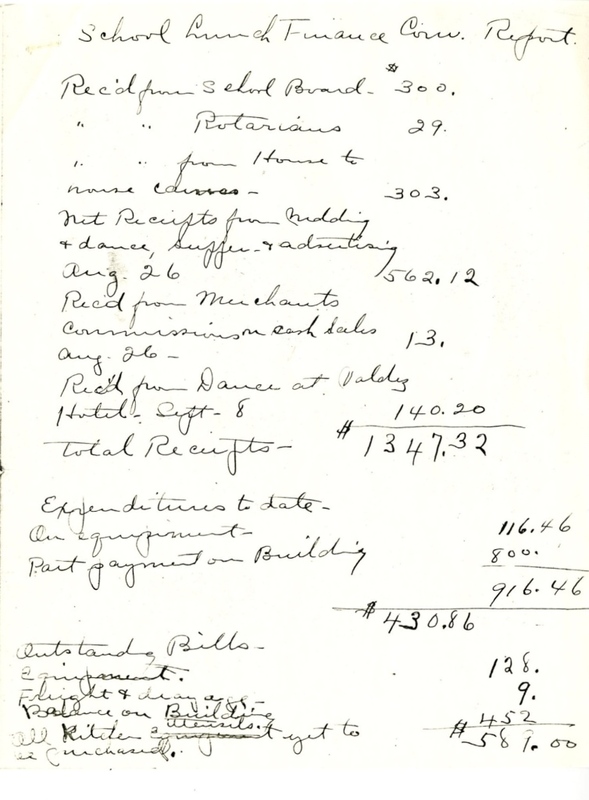 Original report: Sanford Grammar Collection, Archives Box 4B, UCF Public History Center, Sanford, Florida. 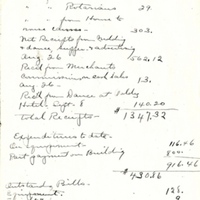 Digital reproduction of original report. Sanford Grammar Collection, Archives Box 4B, UCF Public History Center, Sanford, Florida. Seminole County Public Schools Collection, Student Museum and UCF Public History Center Collection, Seminole County Collection, RICHES of Central Florida. Copyright to this resource is held by the Student Museum and is provided here by RICHES of Central Florida for educational purposes only. "Public History Center"." Public History Center, University of Central Florida. http://www.publichistorycenter.cah.ucf.edu/. Sanford Historical Society (Fla.). Sanford. Charleston, SC: Arcadia, 2003. "Student Museum." Seminole County Public Schools. http://www.scps.k12.fl.us/studentmuseum/Home.aspx. “Sanford Grammar School Lunch Finance Report .” RICHES of Central Florida accessed April 26, 2019, https://richesmi.cah.ucf.edu/omeka/items/show/4704.